Plan your next school or organization field trip to Traxside Roller Skating Rink in Burlington, Wisconsin. 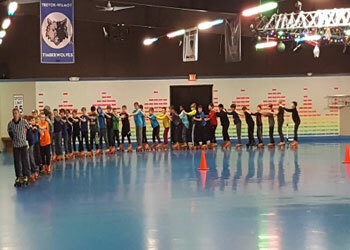 A field trip to the rink introduces individuals to the sport of roller skating while creating new experiences for many in a super fun and safe environment. We have a live DJ interacting with the group throughout the session. We offer a full Snack Bar and brand-new Arcade Games for a great experience. For more information on our private parties for groups and events please call (262) 763–4410 or our hotline at (608)285–2329. Are you bored with the “same old, same old”? Looking for something FUN to do? Do you want to offer your employees a unique event? Or how about a team building outing? Have your next corporate event at TraXside! TraXside can accommodate your group for any type of event. From team building to company–wide family parties, we have a package that is just right for you! 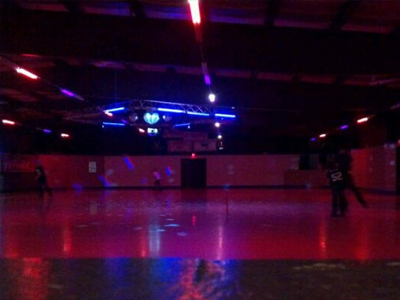 Our newly renovated facility offers roller skating, a live DJ interacting with your group, and an arcade with the latest in video and redemption games! Book your corporate event now by calling our Events Coordinator at (262) 763–4410 or (608)285–2329 for group event pricing and availability. We offer special rates for daycares/camps/non–profits when school is not in session: winter break, summertime, and school holidays. Our packages can include skating only, a food combo package that includes a slice of pizza or a hot dog/chips, and soda. Or ask about our party extras for something different. Group rates are available during Open Skate or Call for Private event pricing. All groups must have reservation to get group rate pricing. Please note: If you need to schedule a party at the last minute, Call us! We do our best to accommodate all groups. Call our Events Coordinator at (262) 763–4410 or (608)285–2329 to BOOK your party now!